RIYADH (Reuters) - Saudi Arabia started signing deals worth more than $50 billion in sectors including oil, gas and infrastructure at an investment conference in Riyadh on Tuesday. Companies involved in the deals included Trafigura, Total, Hyundai, Norinco, Schlumberger, Halliburton and Baker Hughes, state television said. 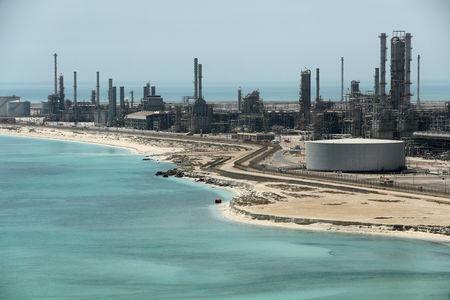 The deals include the establishment of a copper, zinc and lead smelter with Trafigura Group; an agreement to build an integrated petrochemical complex and downstream park in the second phase of the SATORP refinery, jointly held by Saudi Arabia's Aramco and Total; and investments in retail petrol stations also by Aramco and Total, a source familiar with the matter said. Saudi Arabia's transport minister signed a deal for the second phase of the Haramain high-speed railway with a Spanish consortium, state television al-Ekhbariya said on its twitter account.